WASHINGTON, DC -- Federal officials say Donald Trump's business jet won't be allowed to fly until its registration is renewed. The Federal Aviation Administration said in a statement Wednesday that its inspectors have contacted the chief pilot of Trump's 750 Citation X about the plane's registration, which expired in January. The statement says the plane's owner "is currently working with the FAA's aircraft registry and will re-register the aircraft before further flight." 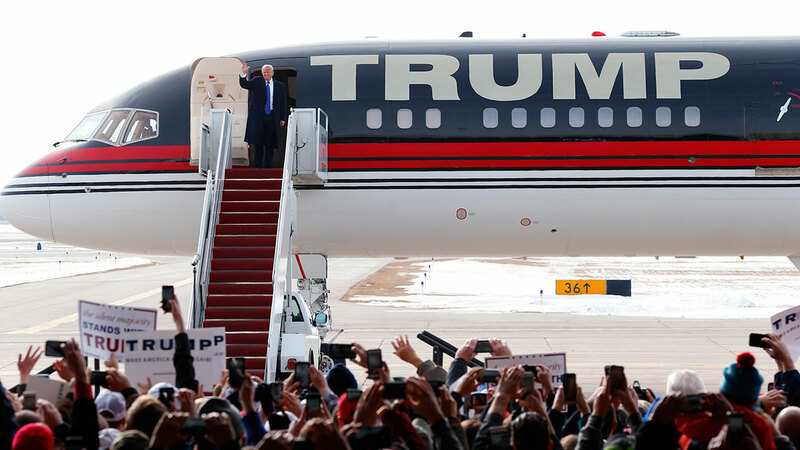 The plane is registered to a limited liability company whose sole member is Donald Trump. The plane's identification number, N725DT, also includes Trump's initials. The Republican presidential candidate has been using the jet to travel to campaign events. It seats up to eight people. Trump also owns a Boeing 757 airliner and three helicopters. Trump's campaign declined to comment.